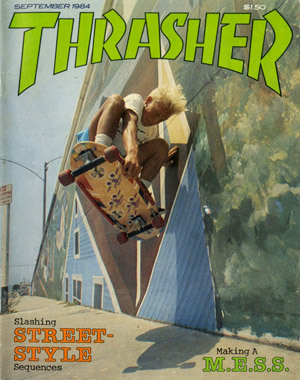 G33k out and get rad with Thrasher’s Online Archive. So far, they’ve scanned in every page of the first 6 years(’80-’86) with more to come. You’ll have to sift through their Features section to find the different years, but it’ll be worth it to see what was going on in skateboarding while you were crapping in your hands and rubbing it on your face.